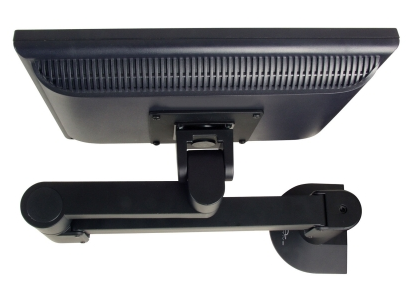 The best-selling 7000 LCD Arm suspends your flat panel above your desk, allowing you to quickly reposition the monitor with just one hand. Reclaim your desk top, even as you work in greater ergonomic comfort. 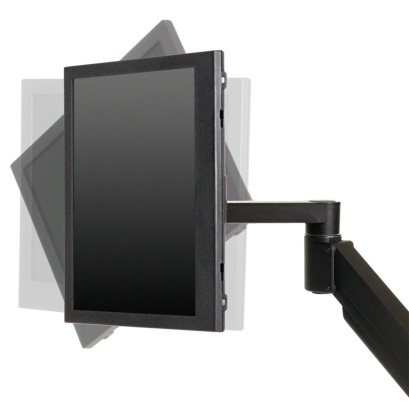 Includes our FLEXmount, with 6 mounting options including desktop and grommet clamp, thru-desk bolt, and wall mounting. 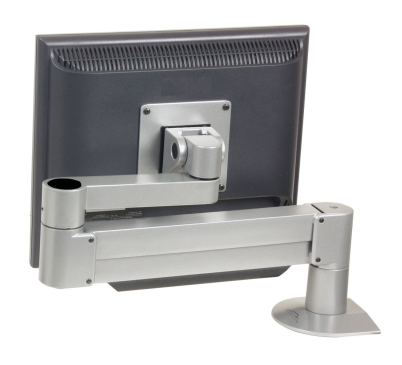 Mount 2 arms with this versatile space-saving mount - clamp to desk edge or grommet, or bolt through desk. Ideal for multiple-monitor applications. 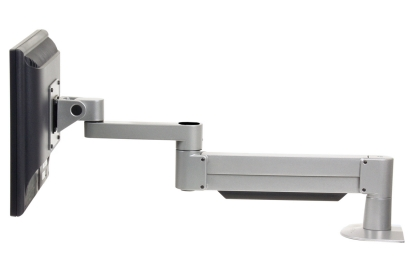 Conserve desk space by mounting your monitor arm directly to your slatwall. 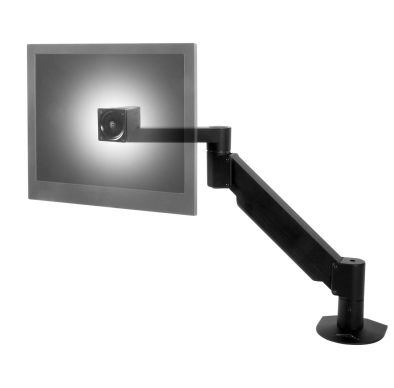 The Innovative Slatwall Mount features secure attachment as well as fast installation. Cables can be routed between the mount and slatwall, helping to keep them neat and out of the way. This single mount will handle most mounting scenarios. Best of all, if you decide to change the way the arm is mounted several months after purchase, there is nothing more to buy - simply reconfigure your FLEXmount. The FLEXmount will even handle mounting scenarios such as thick desk edges, desk edges with longer trim and surfaces with a small lip. Clamps to vertical pole. Accommodates poles of 3 different diameters: 1.5", 1.75" and 2". Easy installation - no drilling required. 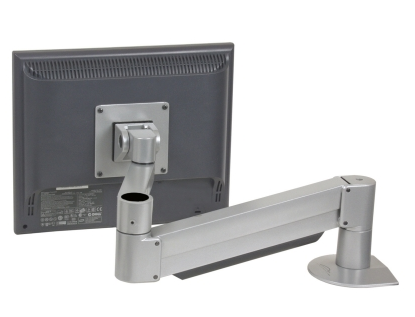 This heavy-duty wall mount will provide rock-solid security for your arm and monitor. Mounts vertically to your wall surface. Not recommended for dry wall, sheet rock or plaster surfaces. Suspend your choice of LCD, keyboard and even CPU on the wall for maximum space savings. Can be configured to meet your requirements. Bolt through your desk. Requires a 3/8" hole.